Ernesto Valverde has admitted Barcelona may have to bolster their defence in the January transfer window if Samuel Umtiti continues to struggle with a knee injury. Valverde said buying some additional cover in January is also an option. "From here until the January window, we have to go with our players and those in the B team, and then we will assess the situation," Valverde said. "We will see over the next month how Samu's injury evolves. We have to be optimistic. We don't really know if we will have to go to the market or not. "There are various things to consider and when the winter market comes, we'll see what we can do to solve it." 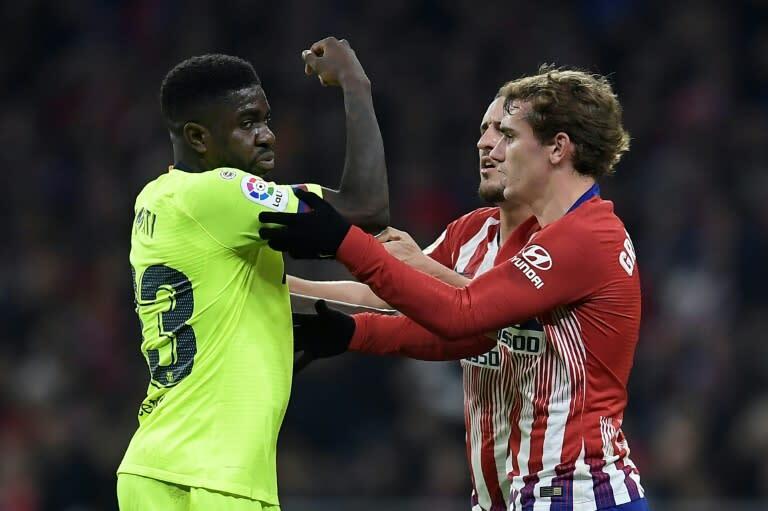 Umtiti missed 10 matches before playing against Atletico, with 23-year-old Clement Lenglet, a summer signing from Sevilla, taking his place alongside Gerard Pique. "We hope, and we are optimistic, that Samu can recover for the rest of the season," Valverde added. "On his decision to go to Qatar, there are several parties involved and we all have to agree, but the fundamental thing is the player. It's his injury and he has to be convinced of things."